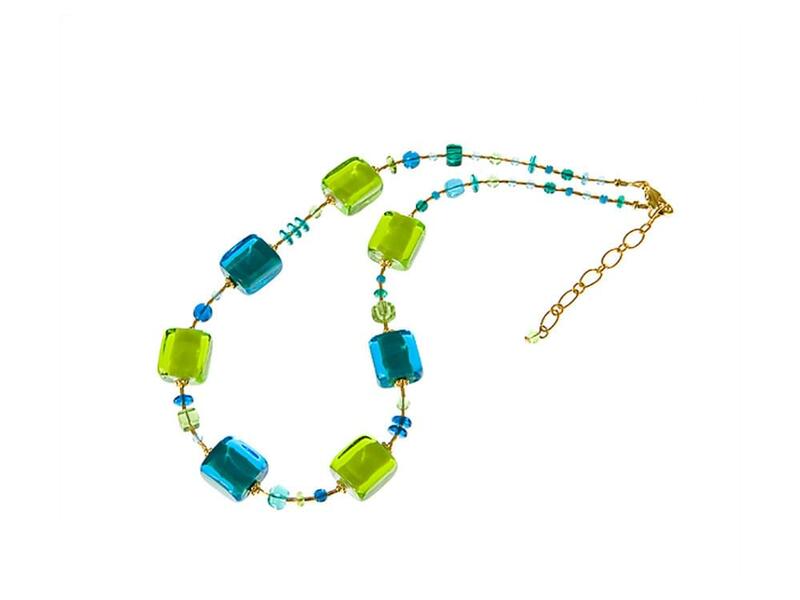 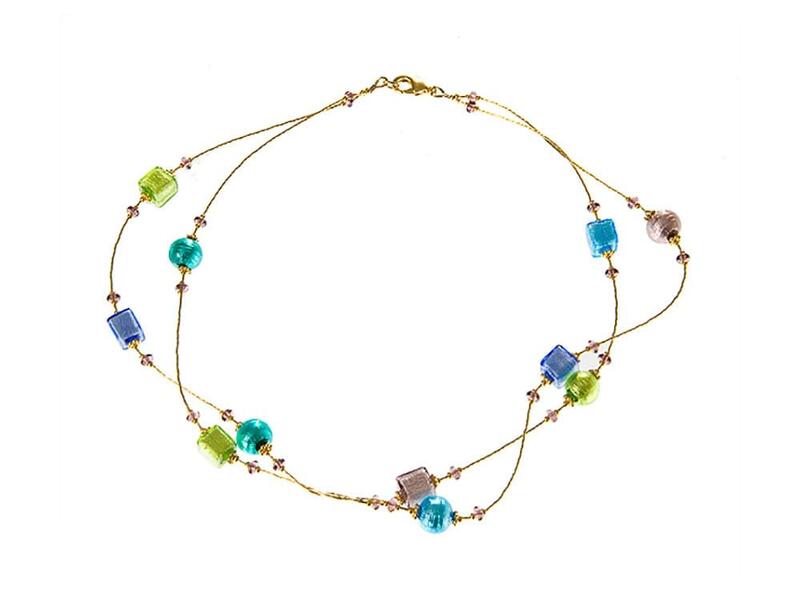 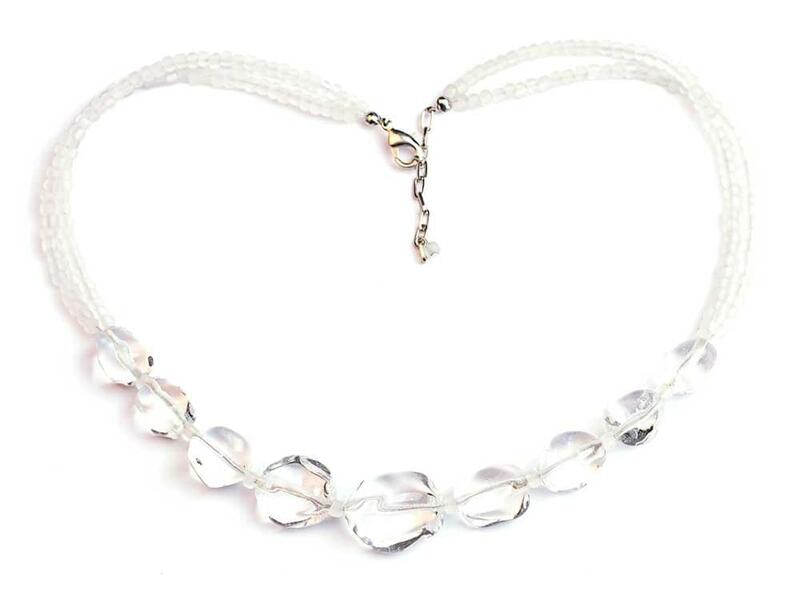 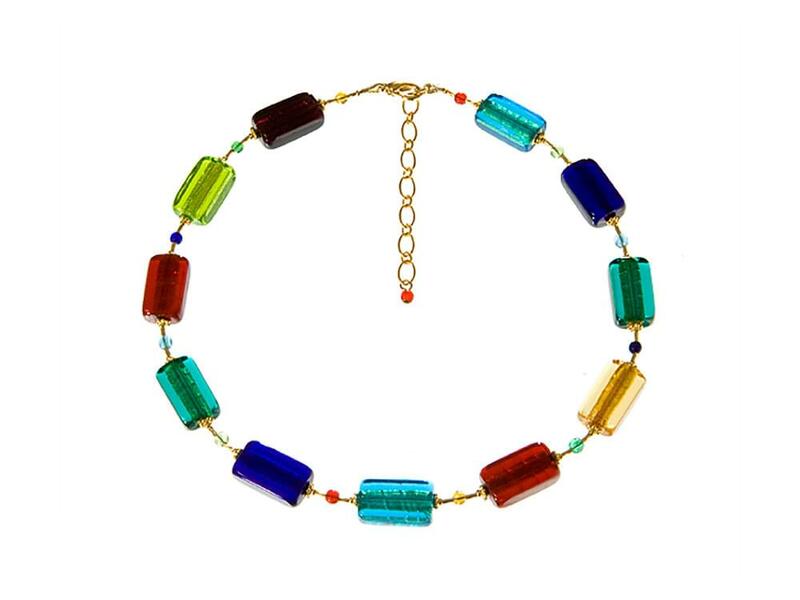 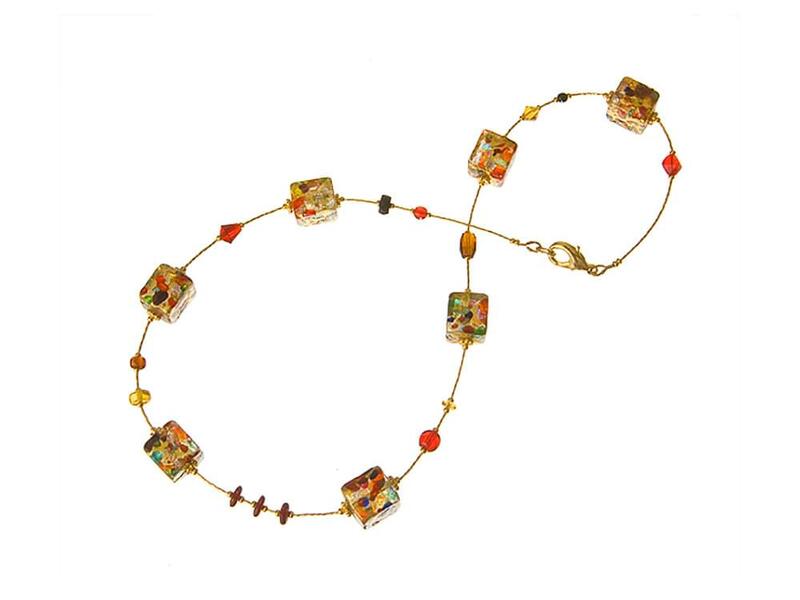 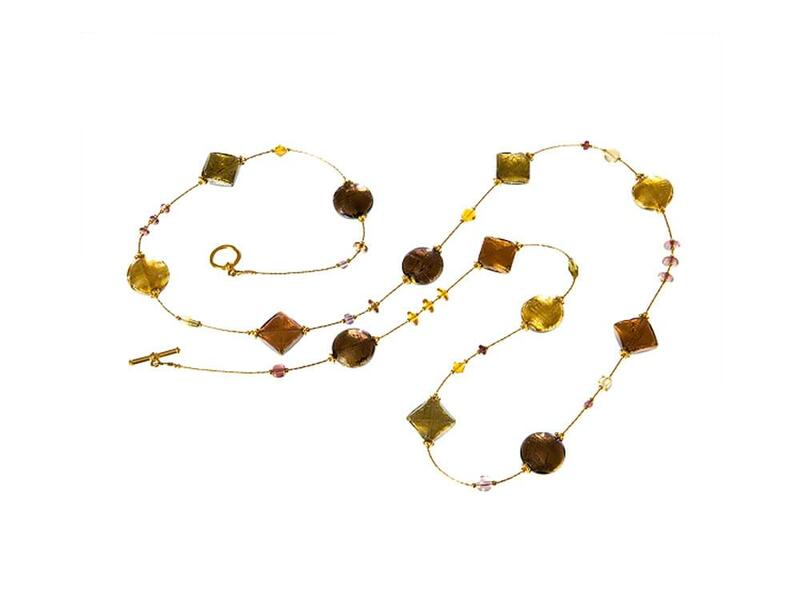 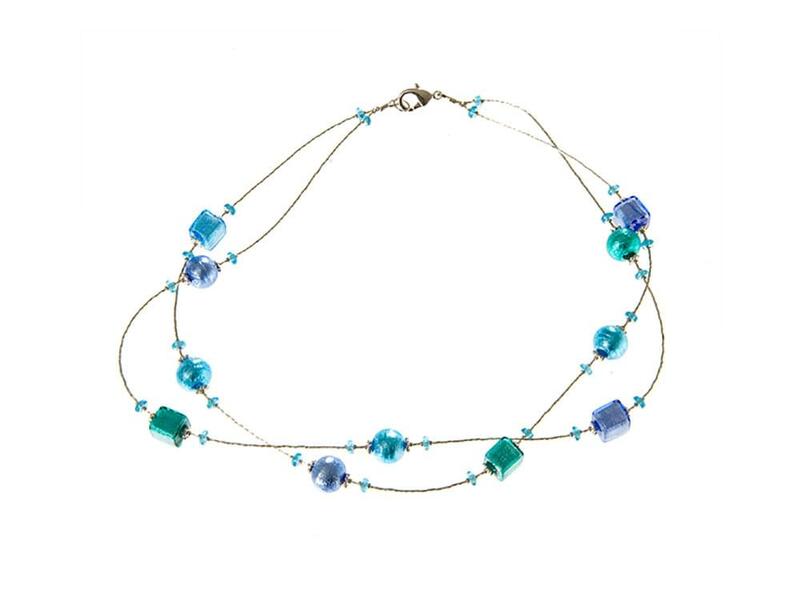 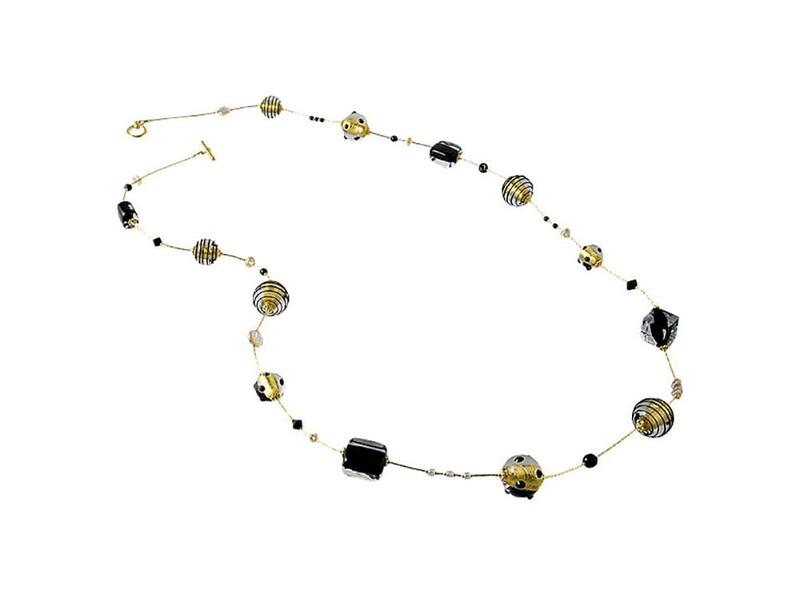 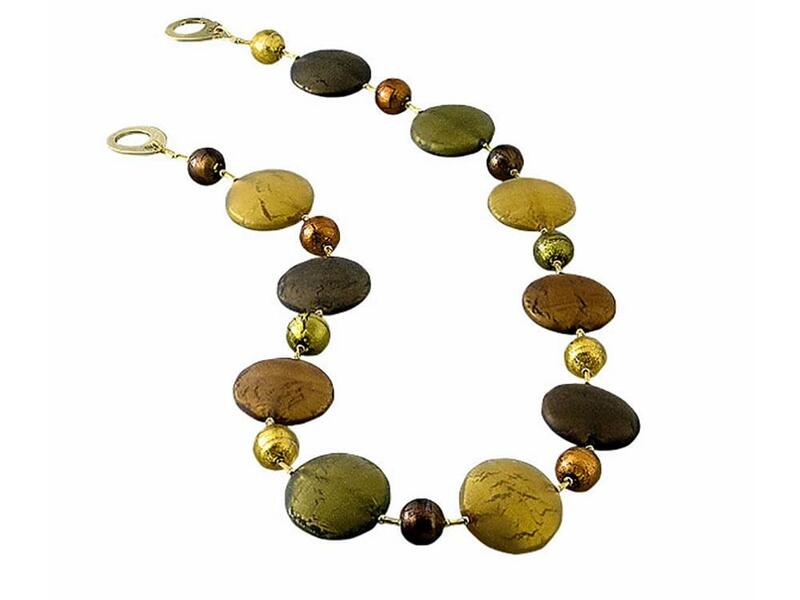 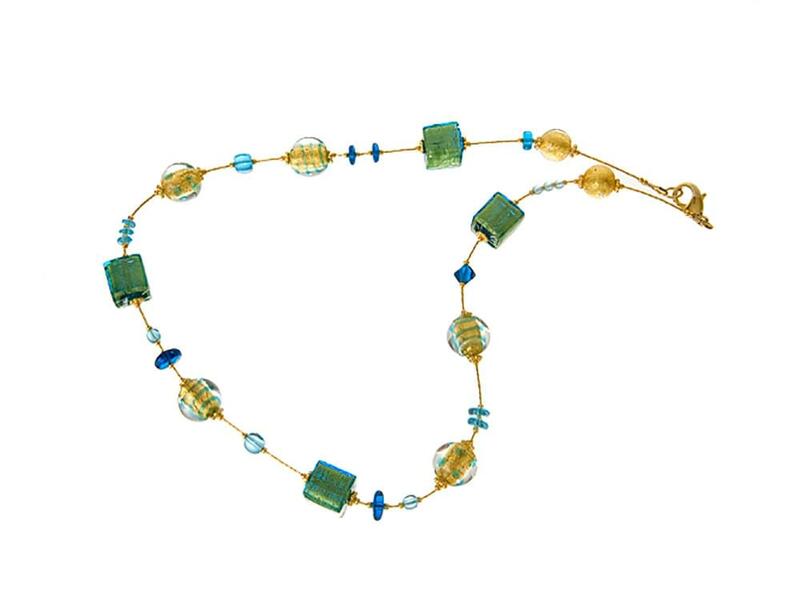 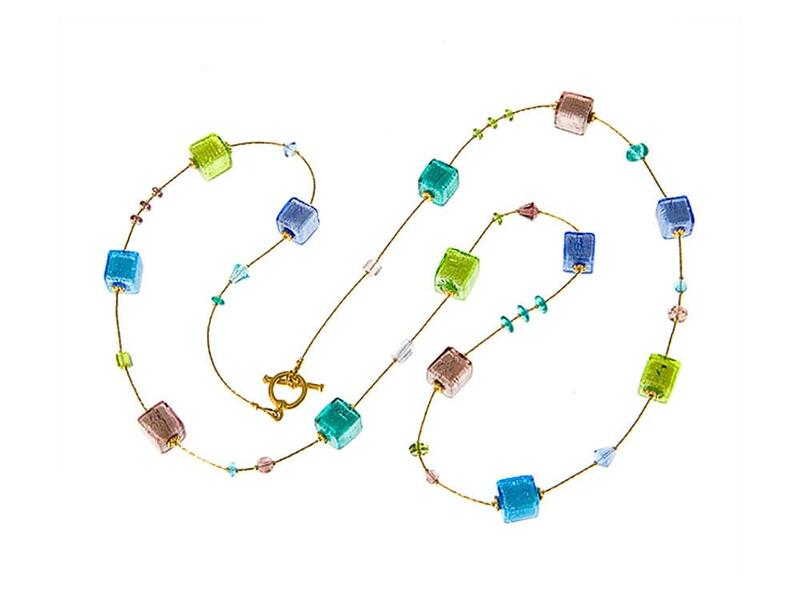 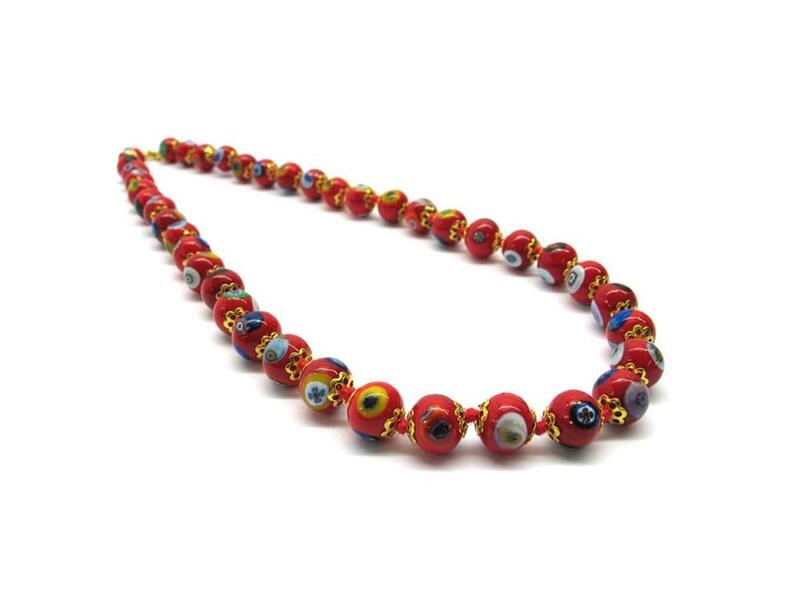 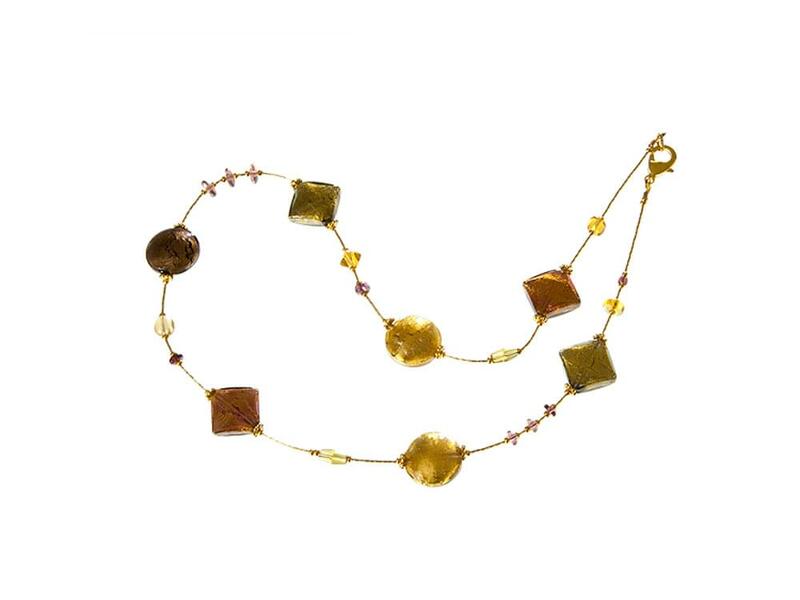 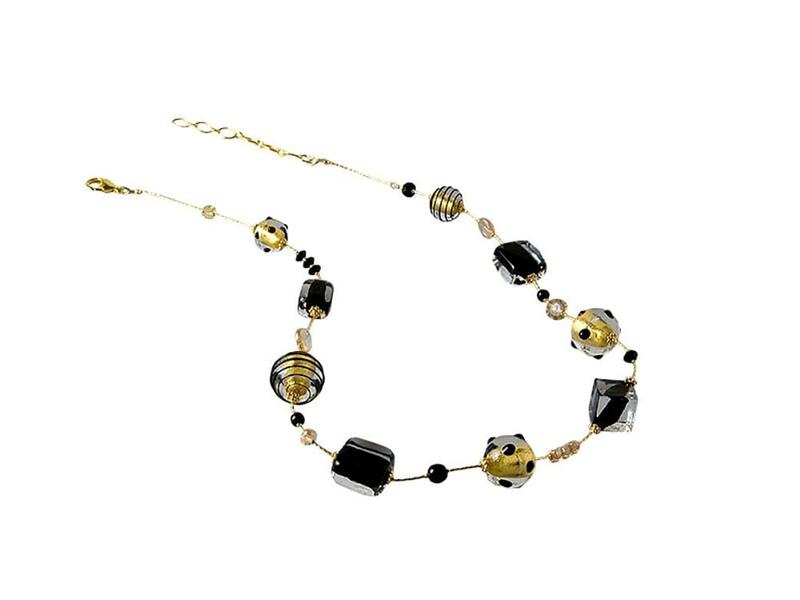 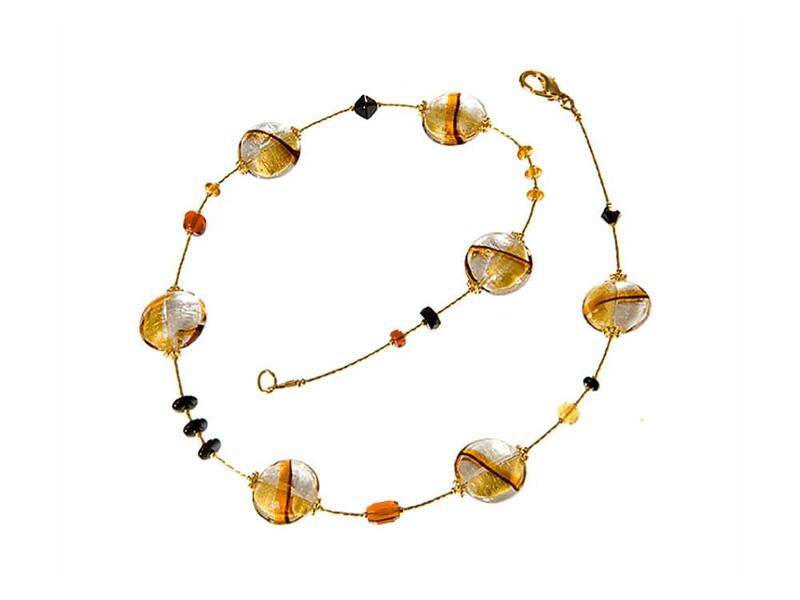 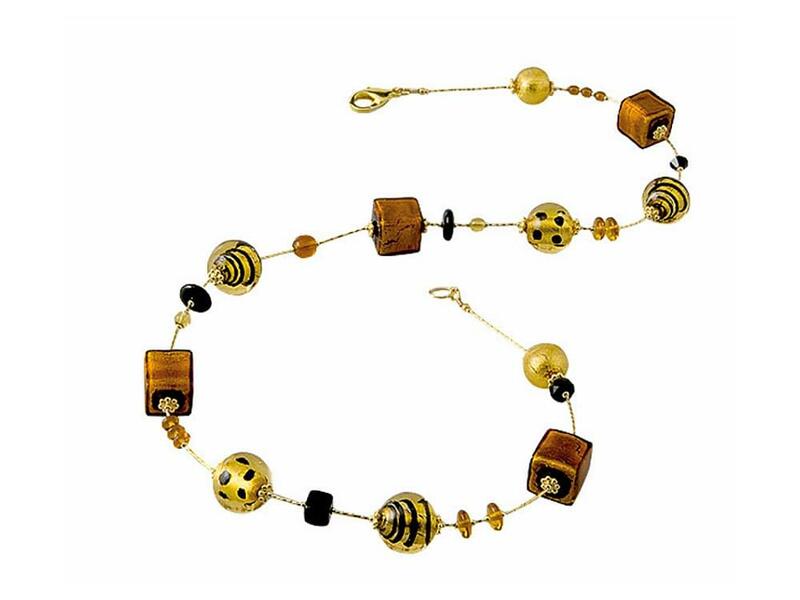 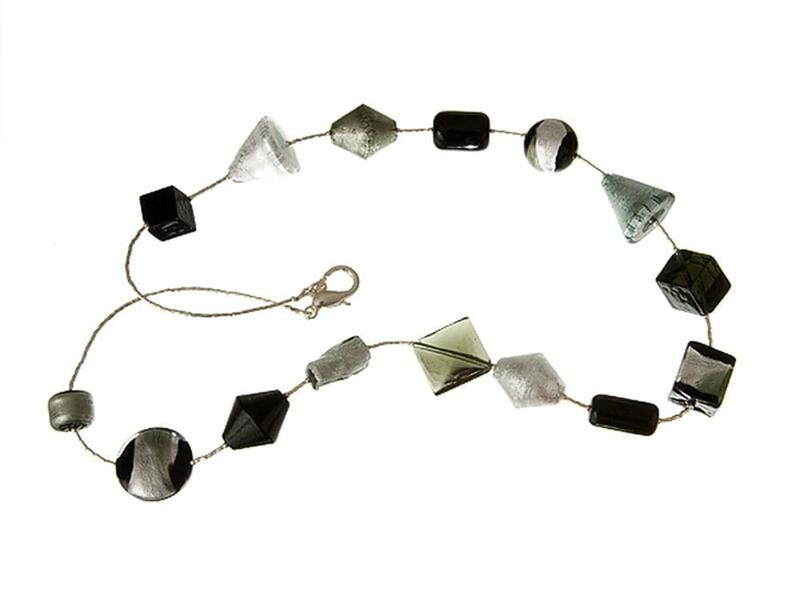 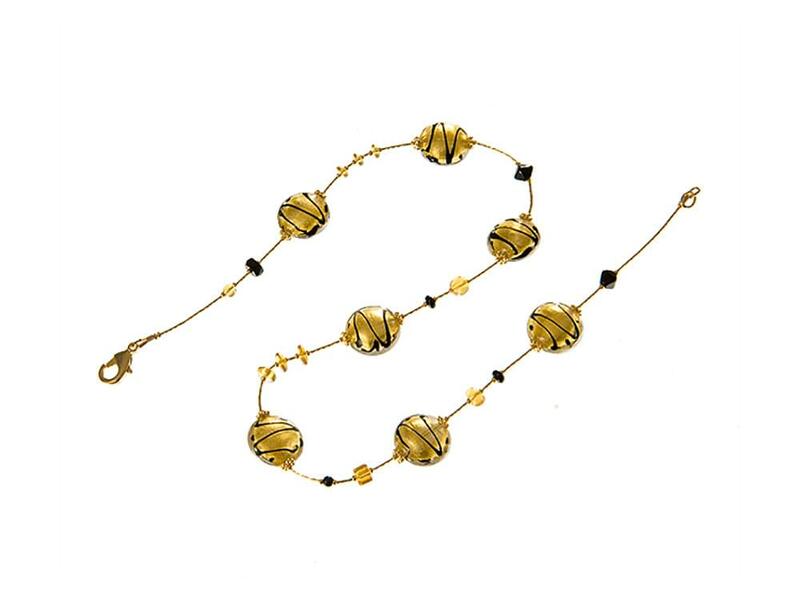 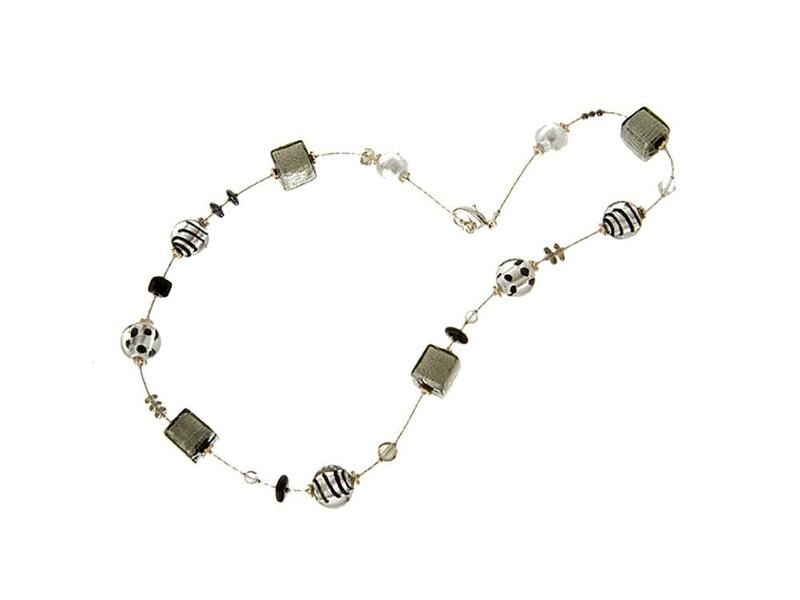 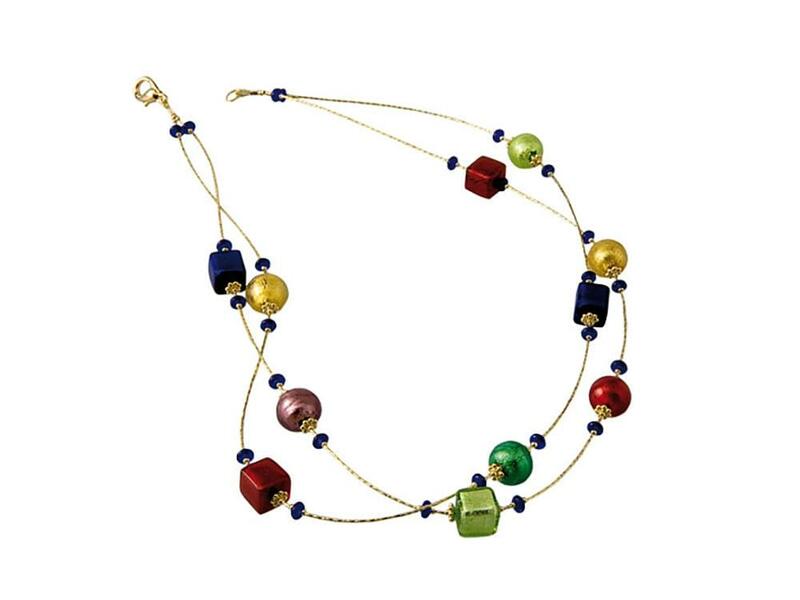 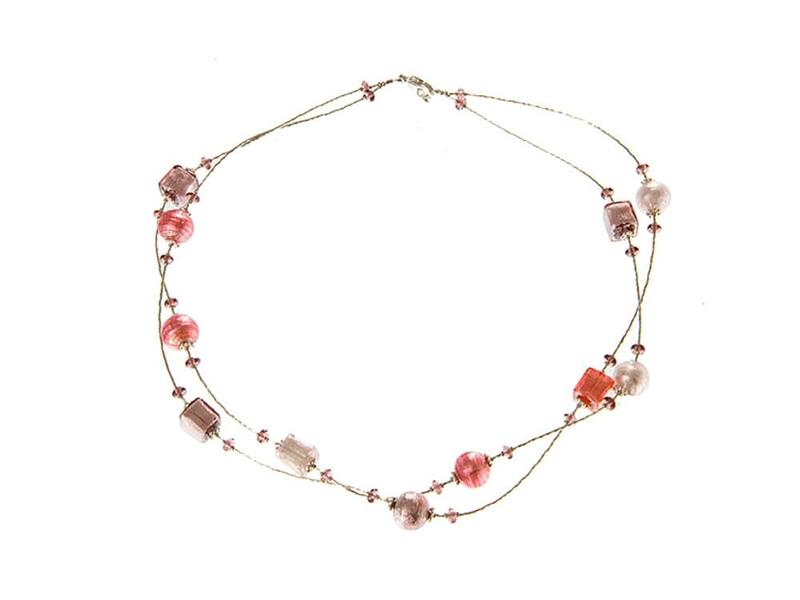 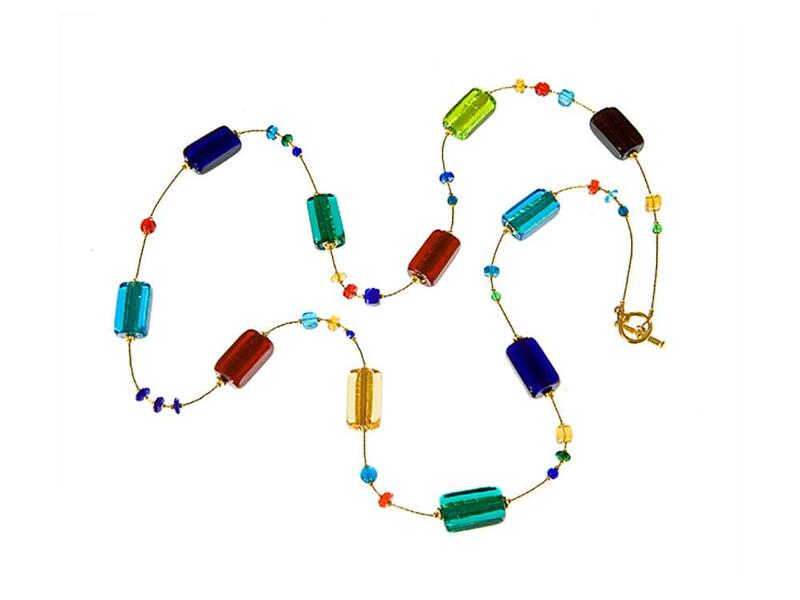 There is nothing quite like a Murano Glass necklace. 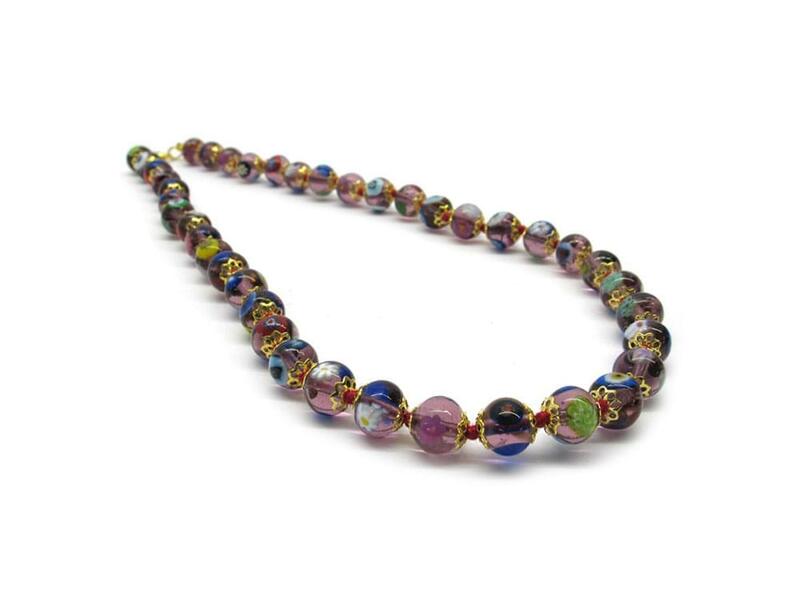 The shimmering patterns and vibrant colours of Murano Glass create a stunning variety of necklaces. 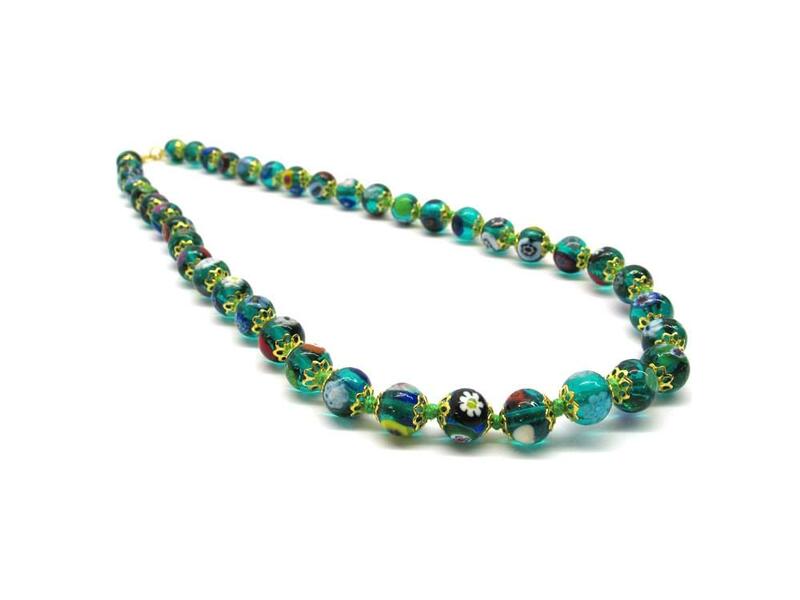 Each murano glass necklace is unique, made from a huge variety of different sizes of glass beads. 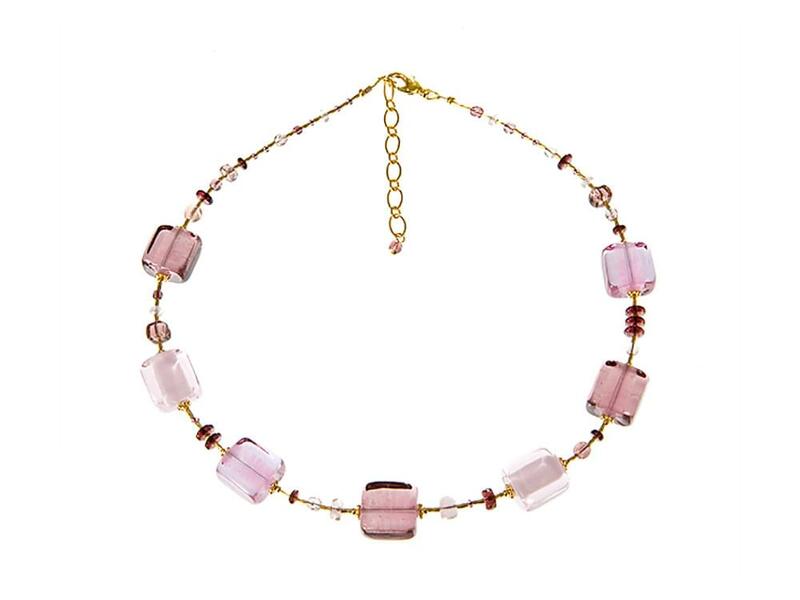 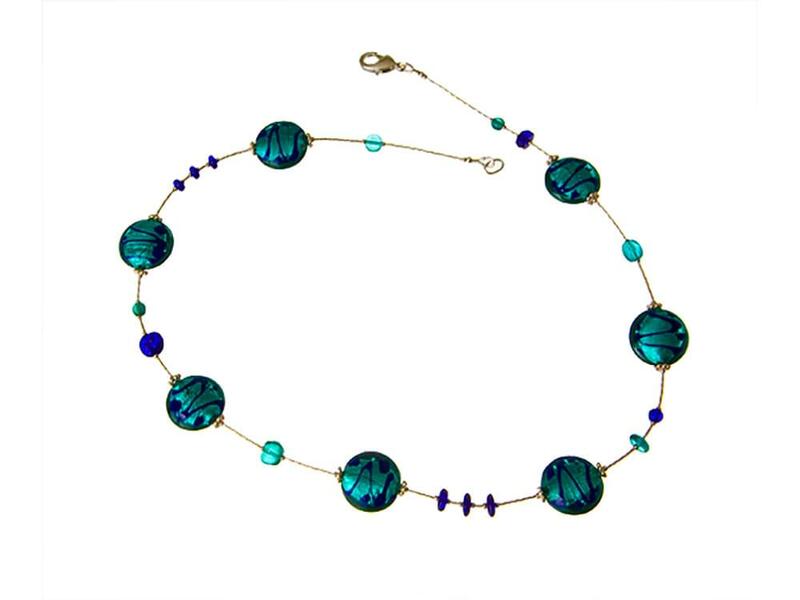 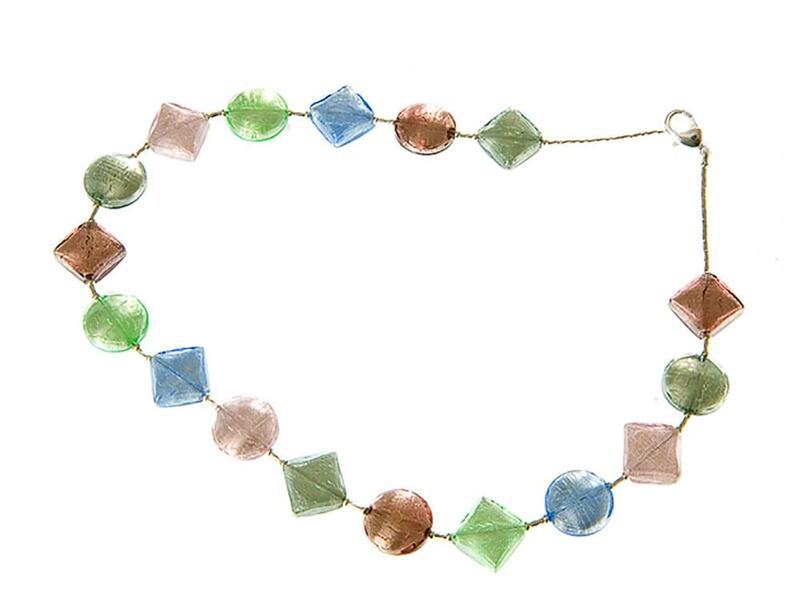 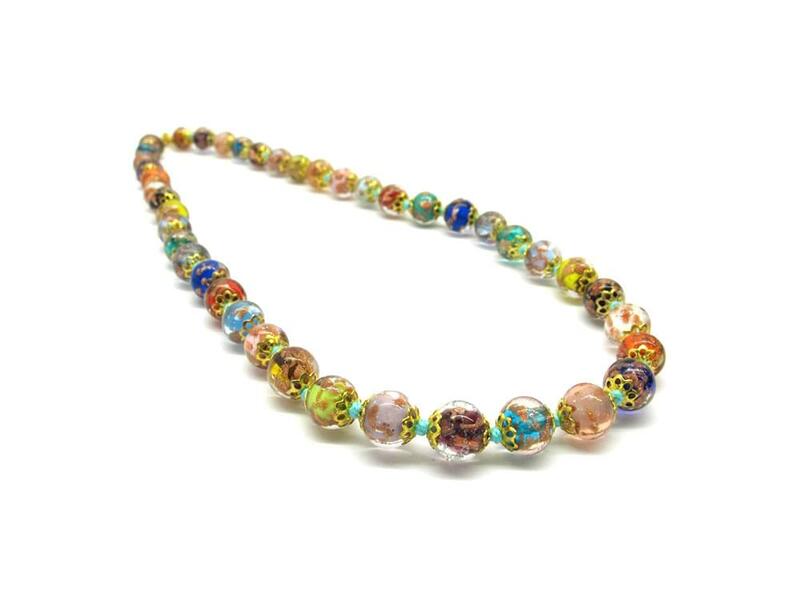 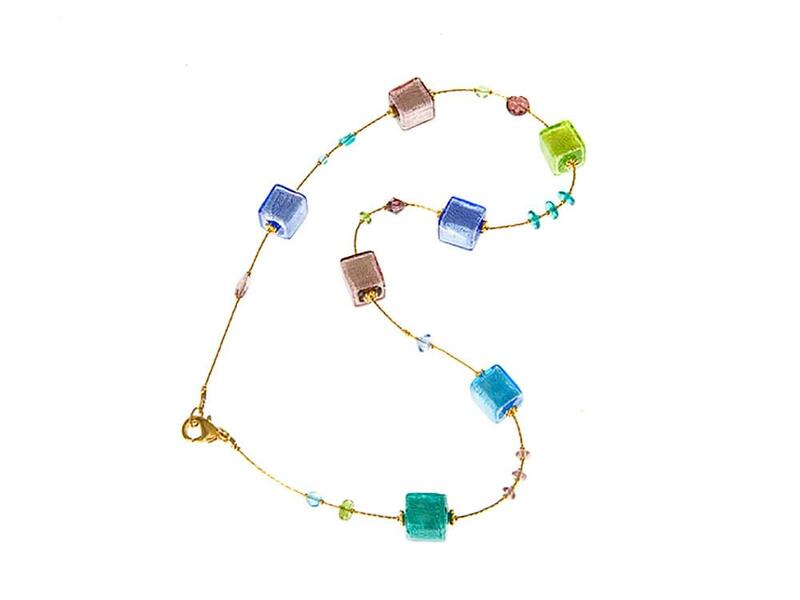 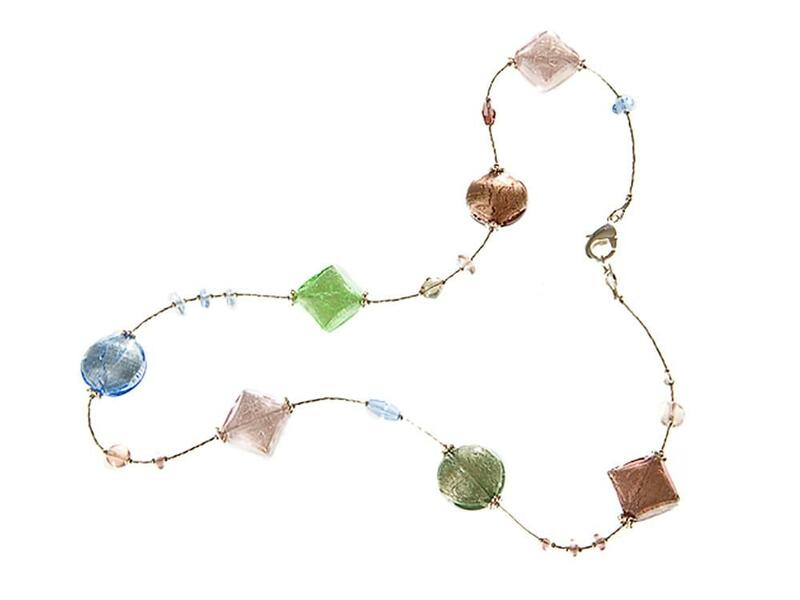 Some murano glass necklaces feature a string of similar sized beads of the same colour, other necklaces contain a mixture of different sized beads in different colours. 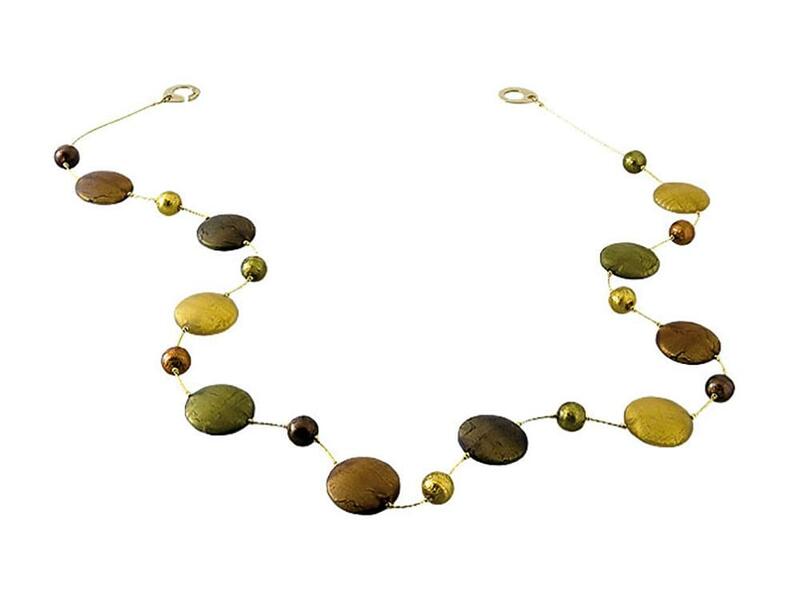 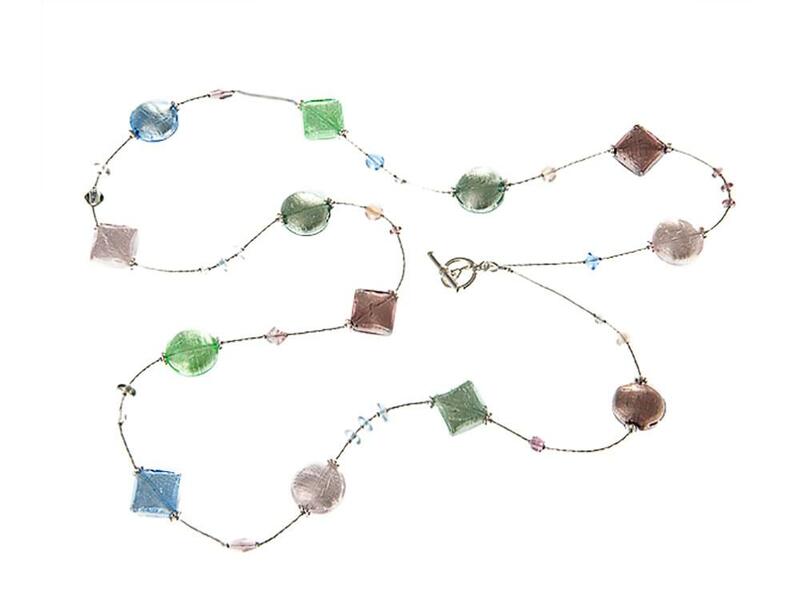 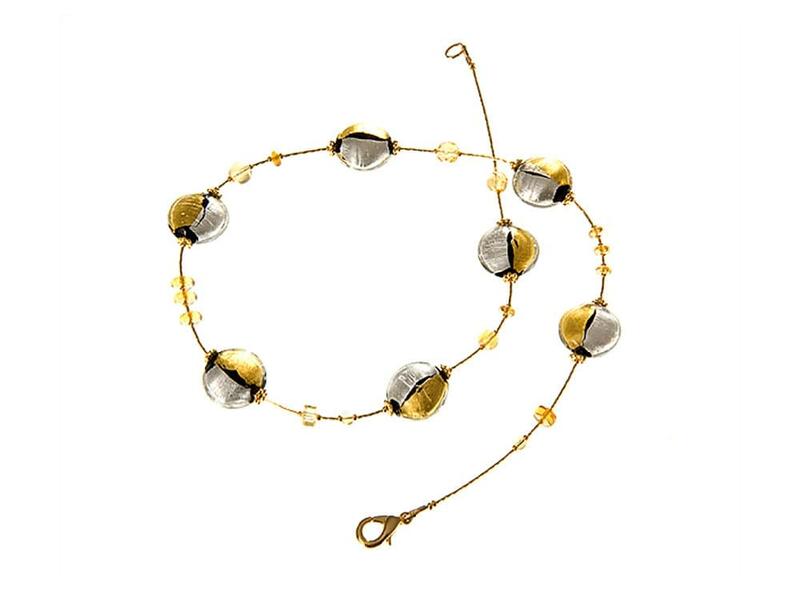 Some murano glass necklaces are mounted on chains in silver or gold, others are mounted on leather strands. A murano glass necklace can be large, making a powerful statement, another necklace can be small, creating a light and delicate effect. 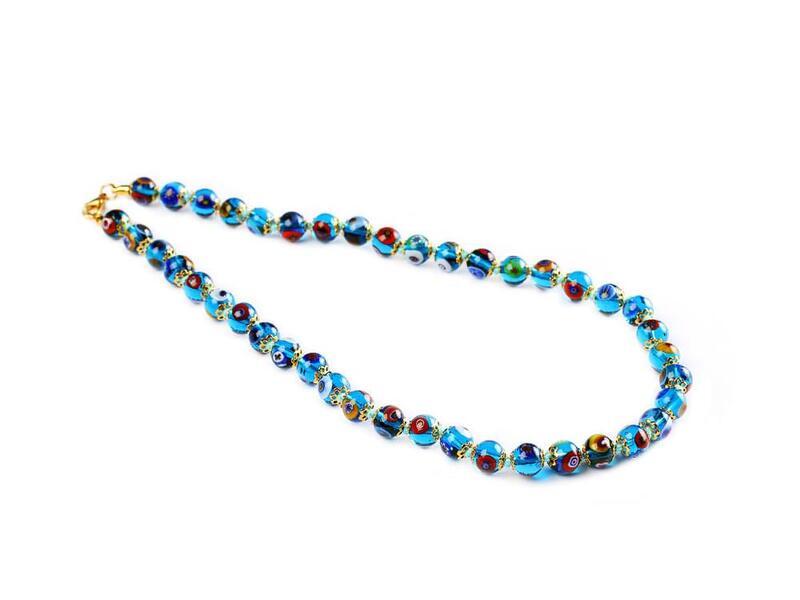 Murano glass necklaces are available in many different lengths.